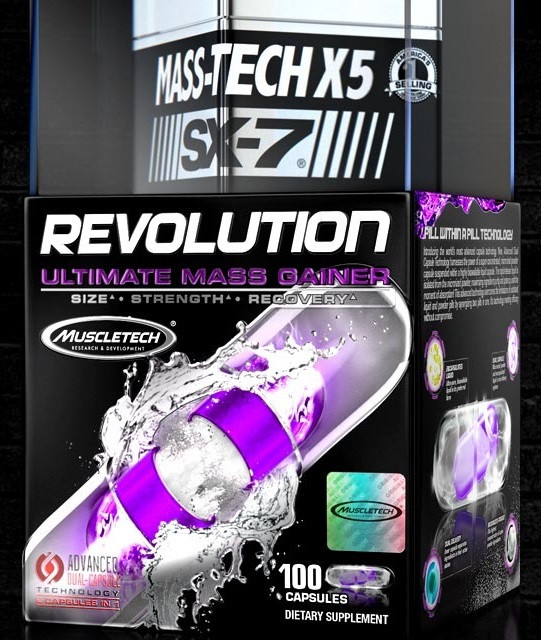 The brand known for making endless variations of its products is back with another mass-gaining muscle-building supplement in Mass-Tech X5. But it’s finally one that we feel interested in writing about, as opposed to the last two dozen MuscleTech pre workouts, fat burners, and protein powders that honestly don’t seem to do anything but confuse customers with too many options. Mass-Tech is built upon a foundation of the performance enhancing compound Peak ATP, which is found in number of other MuscleTech supplements, including Plasma Muscle, Peak SX-7, and #Shatter SX-7, one of the most absurdly named pre workouts we’ve ever seen. The rest of the mixture includes compounds that enhance performance and support muscle growth. Mass-Tech X5 is all about enhancing athletic performance and supporting an optimal hormonal environment for building muscle. MCT Oil is all the rage these days among the paleo and keto crowds as the hot new “it” ingredient that brings about renewed energy levels, mental clarity, and a whole bunch of other skeptical claims. What better way for MuscleTech to capitalize on the ingredient’s popularity than by putting it first in the ingredients list for Mass-Tech X5. While the amount here isn’t enough to take advantage of MCT’s energy-boosting properties, it’s supposedly included to help enhance the bioavailability of the “muscle-building” compounds that are up next. Long story short, MCT oil helps get energy into mitochondria – will it also help with the other ingredients in this capacity as well? PeakATP is another ATP enhancing compound that is comprised of a slightly different make than elevATP and needs a much higher dose to be effective. As we stated above, you can find this in a number of other MT products all at the same clinically-backed 400mg dose. But we do wonder sometimes about these wonder ingredients MT comes up with due to what we call the “Dr. Jacob Wilson Effect”, which if you haven’t been following along our postings over the years basically revolves around this — Dr. Jacob Wilson studies some compound, his athletes have mind-blowing results on it, and then MT packages it and sells it. And even his placebo participants make insane gains — so is it really the crazy workout programs they have instead? Boron is an essential trace mineral needed for bone growth and has some research backing its usefulness for increasing testosterone and free testosterone levels and decreasing estrogen levels too! 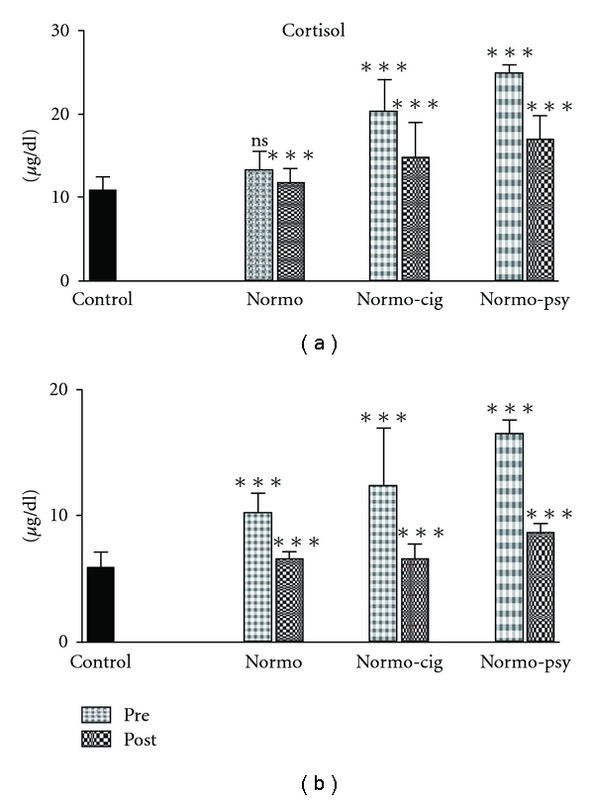 One very interesting piece of research has shown that supplementing with 10mg of boron (the same dose here included here) significantly elevated free (active) testosterone levels (as much as 28%!) 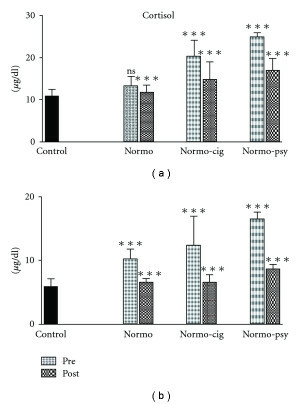 and reduced estrogenic activity (39% decrease in free estrogen levels). Mass-Tech contains 200mg boron citrates, supplying 5% boron by mass, which means you’re getting a total of 10mg boron. 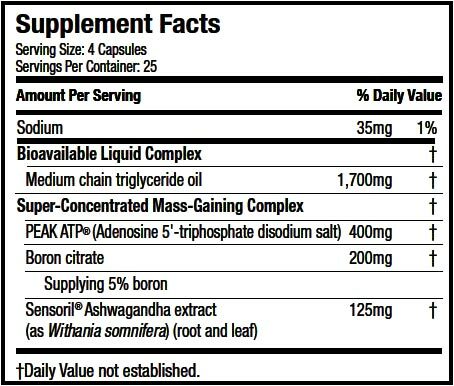 Ashwagandha is an adaptogenic herb that helps lower cortisol in addition to improving VO2 Max. 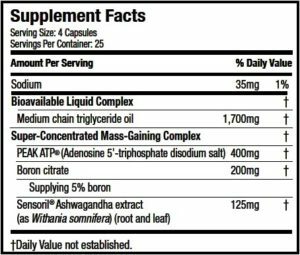 Sensoril® is a patented, proprietary, and standardized extract of Ashwagandha, an incredibly popular, and potent, adaptogen. Sensoril® also increases levels of the corticosteroid hormones which lowers cortisol and raises DHEA. FYI, DHEA is an anti-aging hormone known for its vitality and energy-boosting properties. This ingredient helps promote an optimal hormonal environment in your body, one that promotes muscle growth and combats fat gain. Consume one serving (4 capsules) one time per day. Although the official instructions don’t say so, this can be safely spaced out across two meals. Well, another product from MuscleTech and it’s got all the hallmarks of an MT product — sleek packaging, catchy phrases, and eye-popping graphics. The question is, which the multitude of products MuscleTech sells that all basically contain the same thing, minus one or two minor differences, will the average supplement consumer ever catch on to this trick?! No Comments | Posted in Supplement News | Tagged Ashwagandha, ATP, Boron, MCT Oil, Medium Chain Triglycerides, MuscleTech, Peak ATP, Sensoril.